This bench is the perfect addition to any home! It features a cute snowman next to some primitive flowers. It boasts a simple country design, but is also funtional! This step stool is small enough that it can always in within arms reach for getting something off the top shelf, helping the little ones up to the sink, or even using as part of a holiday display! 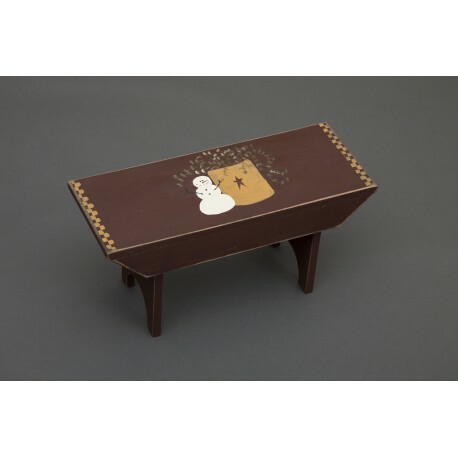 Add some rustic country charm to your home this holiday season with this handmade wooden, primitive painted bench featuring a snow scene. This decoration will make a delightful addition to your Entry Way, Living Room, or Front Porch. This beautifully painted bench decoration will look so charming displayed anywhere in your home.